The national assembly in Panama has declared a day of national mourning to mark the anniversary of the US invasion 18 years ago. The assembly also set up a commission to investigate how many people were killed during the invasion. The government estimates up to 500 Panamanians were killed, but human rights groups say more than 1,000 died. 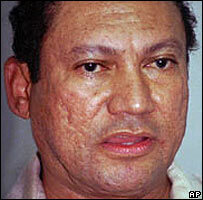 US troops stormed Panama City in 1989 to arrest military ruler General Manuel Noriega on drug charges. The bill, which US officials have downplayed, still requires presidential approval. Cesar Pardo, of the governing Democratic Revolutionary Party, said the assembly's move was recognition for all those who fell during what he called a "cruel and unjust" invasion. Gen Noriega has completed a jail sentence in the United States for drug trafficking charges, but remains in custody while a French extradition request is examined. 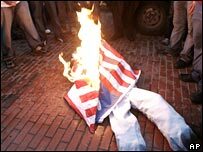 The declared aim of the American invasion of Panama was to restore democracy and the rule of law. The BBC's Warren Bull in Miami says Gen Noriega's removal was supported by many in Panama, who wanted a return to stability, but the deaths of hundreds of citizens were never fully explained. He says the assembly's move is a sign the country, now more affluent and stable, and in control of the Panama Canal, feels more comfortable about its addressing its past, and its relationship with the US. Is Noriega too hot to handle?